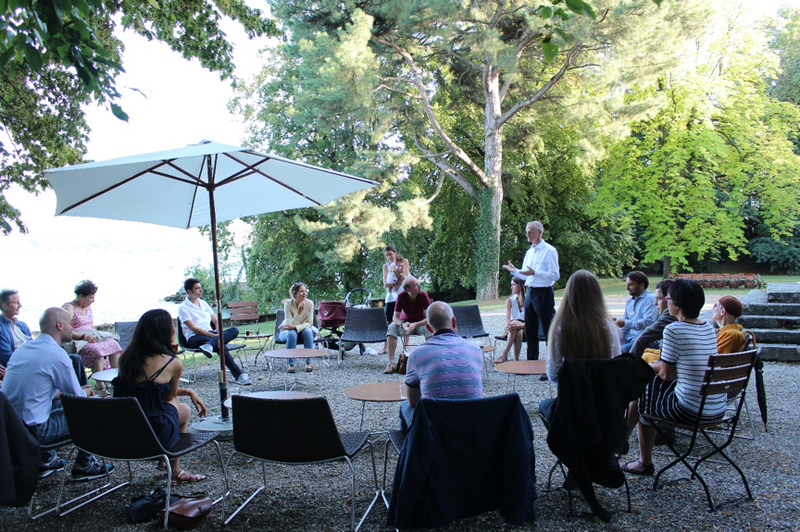 On the evening of August 28, 2018, in a beautiful 19th century house nearby Lake Geneva, the Confucius Institute at the University of Geneva hosted the fourth meeting of the Swiss French-speaking alumni in China. More than 30 alumni participated in this event to discuss their memories of China and share their experiences of the present day. The Director of the Confucius Institute, Dr. Basile Zimmermann, welcomed the guests. 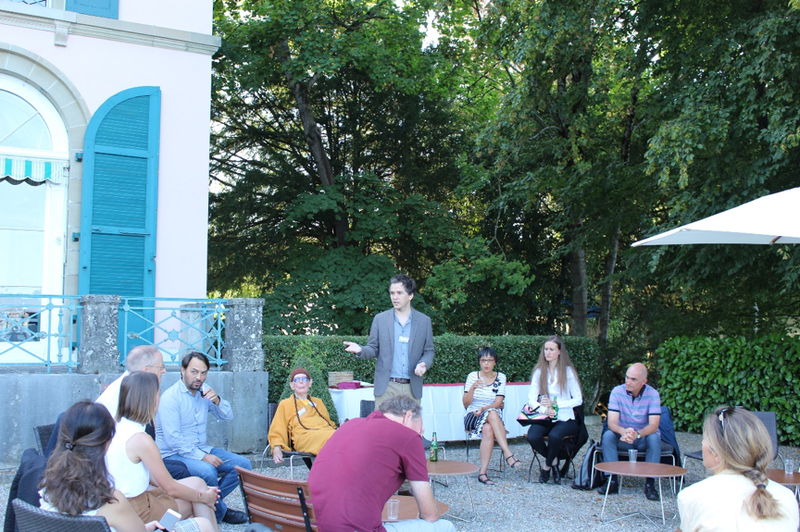 He expressed his joy to have such an opportunity for the alumni to exchange with each other. Gérald Béroud, President of the French-speaking section of the Swiss-Chinese Association,discussed the strengthening of the relations between the two countries and expressed his hopes that everyone would contribute in taking them to the next level. 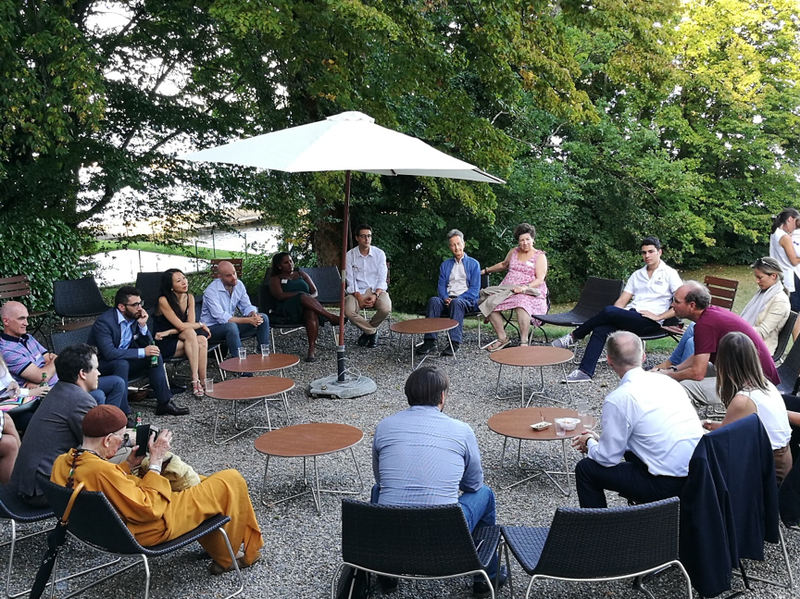 Béatrice Ferrari, Head of Bilateral Relations at the State Secretariat for Education, Research and Innovation, presented the activities of swissnex China, with a special focus on science and technology cooperation as well as scientific diplomacy. Later on, Dr. Marc Laperrouza gave a detailed presentation of the "China Hardware Innovation Camp" at EPFL, which he had started in 2015 together with Pascal Marmier, who had the original idea. Composed of students with business, design, and engineering background, the program is highly interdisciplinary. Students are organized in groups and work on designing their own connected device, then they all go to China to manufacture it. Every year, Marc Laperrouzza travels with the participants, and he attempts to help them better understand the country. To this day, products that have been designed include for instance a smart milk bottle, a smart lunch box, a device for long-distance communication for the elderly, or a device to measure the quality of water, etc. Marc also takes the students to visit a big Chinese enterprise. He discussed the challenge of providing a few weeks of experience and understanding to students who most often don't know much about contemporary China. Dr. Laperrouzza's presentation lasted more than one hour, and everyone was quite excited to learn about such a successful and innovative way of working with China. 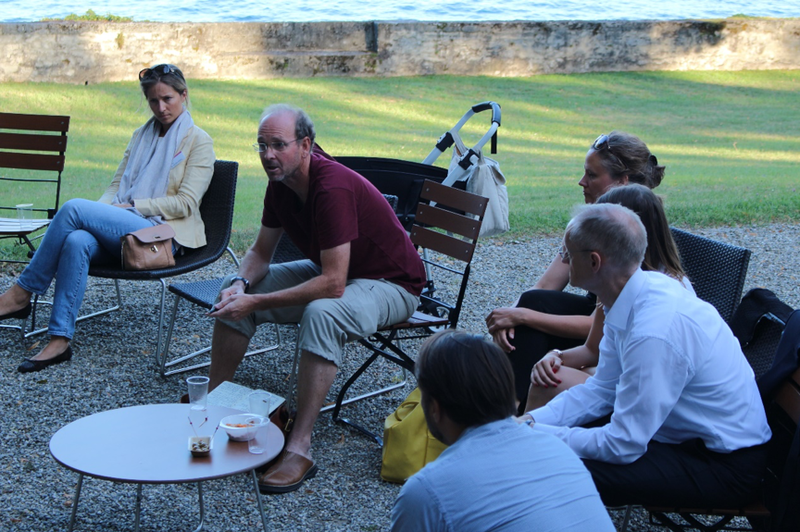 Later on, everybody had dinner together, and the participants continued the discussions on the lakeside. The alumni agreed that this kind of gathering not only reinforces their relations with China, but also promotes further collaboration of all kinds and gives positive energy. This event was organized thanks to the support of the French-speaking section of the Swiss-Chinese Association, the Chinese Embassy in Bern, swissnex China, the Department of East Asian studies and the alumni association at the University of Geneva, as well as the alumni association at the University of Lausanne.